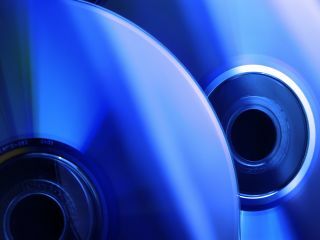 CES 2009: "Live recordings with an astonishing quality"
Blu-ray - the new vinyl? Pioneer's Technical Audio Devices have got the audiophiles buzzing ahead of CES with the promise of music-only Blu-ray disks that 'rivals 2-channel analog'. TAD will play host to Bill Schnee and Doug Sax who will be showcasing what could potentially become a new audio format for those people who are ready to leave their vinyl behind but still want analogue warmth. "With this unique partnership, Pioneer demonstrates its commitment to consistently offer consumers high performance entertainment that replicates the true intentions of creative professionals," says the press release. Schnee and Sheffield Labs' Sax are acknowledged experts in the audio engineering field and the two have worked in tandem with Pioneer's Chief Speaker Designer Andrew Jones to showcase the new format. "While the industry has made a steady shift towards compressed audio, we believe that home audiences deserve a richer listening experience and there is a tremendous opportunity with emerging high definition technology to develop a medium that can successfully maintain the integrity of an original recording," said Bill Schnee. "We look forward to fusing our visions with Pioneer to develop this format for Blu-ray, and giving a taste of what is to come at CES." Pioneer claim the new format will allow 'discerning audio enthusiasts to return to [their] roots. "Schnee and Sax's new format aims to restore the dynamic sound quality that is reminiscent of their direct-to-disc recordings but can now be mastered in high resolution digital for replay from Blu-ray discs. In the near future, consumers will have the opportunity to purchase and enjoy live recordings with an astonishing quality not previously available." So, is this the format that finally brings audiophiles and digital technology closer together? Only time will tell.